I love pie. But I don’t necessarily love making pie. Let’s just say I haven’t had a ton of experience in the pie baking department. Can probably count the number of pies I’ve made on one hand. But last week I made a Fresh Peach Custard Pie. If you follow this blog at all, you know I’ve highlighted peach recipes several times in the past few weeks. If you think I’m kicking and screaming, desperately clutching at the last vestiges of summer, you’d be absolutely correct. I love peaches, and the peach season disappears all too quickly around here. I’m purposely featuring peaches so when the frigid comes along in not too long (and it will), I can revisit this peach custard pie post and experience summer vicariously. (I mean, is it possible to experience vicariously from yourself?) Ha. I’ll be honest here. What has intimidated me in the past about making pie is the crust. Both my Grammy and Grampy were expert New England pie bakers, even worked in a bakery for a time. Yet somehow they didn’t pass that pie-making gene on to me. Nature or nurture? I don’t know. The thing is, I haven’t exactly practiced making crust all too often either, so perhaps that’s part of it. I’m all about easy these days. With a busy household of four boys and my little Hudson with special needs, I’m not into fancy or gourmet. While I adore fancy and gourmet, this just isn’t the season of life for that. (For me anyway.) 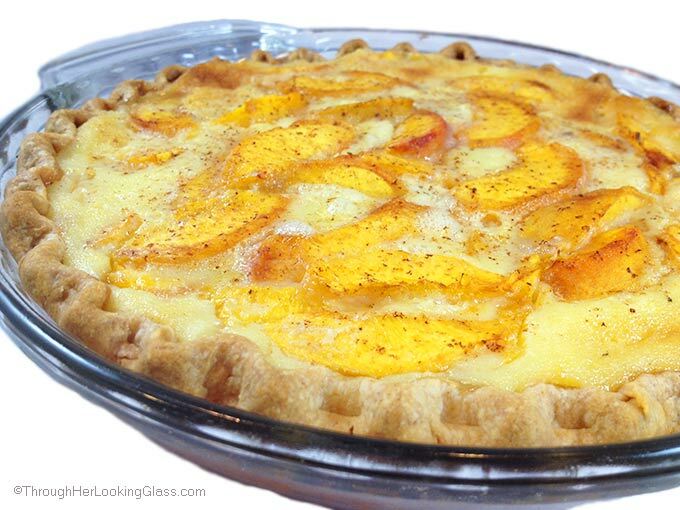 Which is why I’m sharing this very easy Fresh Peach Custard Pie. Because maybe you’re not in the fancy and gourmet season either, but you’d still like a lovely seasonal fruit pie. Like me. True confession: I didn’t mix this crust myself. No apologies. I bought fresh pre-packaged pie dough, Immaculate Naturally Delicious Ready-to-Bake Pie Crust. Pressed it in the pie plate. Trimmed it. Made pretty fluting around the edges with my knuckles. (I think that should count for something, don’t you?) Yeah. And you know what? It tasted wonderful. Flaky and light. Saved me a ton of work and clean-up. And I don’t regret it. And know what else? None of my boys said, “Whaaaaat? You didn’t make the crust from scratch?” Nope, it didn’t even come up. They didn’t care. Had more important things on their minds like soccer practice, getting ready for school starting next week, reading good books. Eating pie. This Fresh Peach Custard Pie used up the last of the summer peaches I’d been hoarding saving since our last peach picking adventure up north in Vermont a few weeks ago. I’ve always loved the combination of peaches and cream, which is why I was drawn to make this pie in the first place. That’s exactly what this peach custard pie tastes like: peaches and cream. It was very simple to make. Fit the crust in a pie plate and partially bake it for 5 minutes. Place prepared peaches in the cooled crust. Whisk together the simple five ingredient custard and pour over the peaches. Sprinkle with grated nutmeg. Optional: sprinkle with turbinado sugar. Bake. That’s all there is to it, folks. 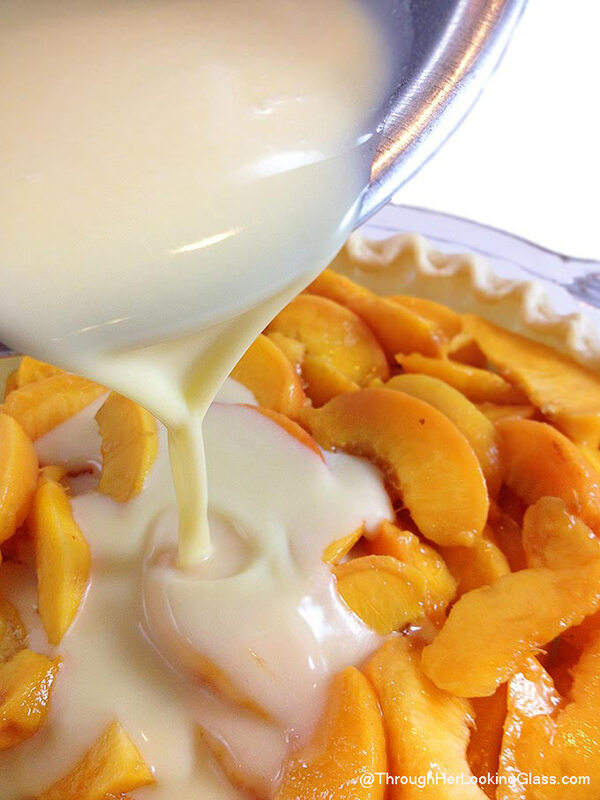 This Fresh Peach Custard Pie is one delicious way to extend your summer…. Dreamy Peach Custard Pie. Fresh peaches and cream combine for an easy, delicious and summery fruit pie. Bake at 450 degrees for 5 minutes. Cool. Peel peaches by cutting a shallow X onto one end of peach. 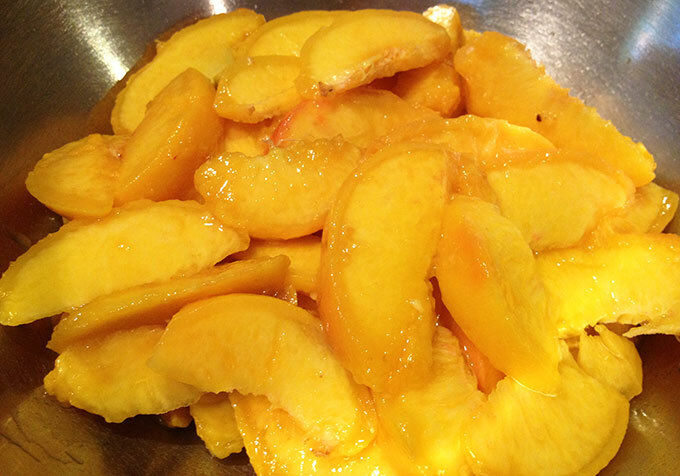 Drop peaches into scalding water for two minutes. Quickly transfer to ice water bath. Slip skins off, then slice peaches thin. Place peaches in bottom of partially baked crust. Whisk eggs, milk and cream into the dry ingredients, mixing well. Carefully pour custard mixture over peaches. Optional: Sprinkle with sugar or turbinado sugar. Start checking at about 35 minutes and put strips of foil around the edges to prevent over browning. Pie should be set in the middle and lightly golden brown when it is finished baking. Serve warm or cold with a scoop of vanilla bean ice cream. 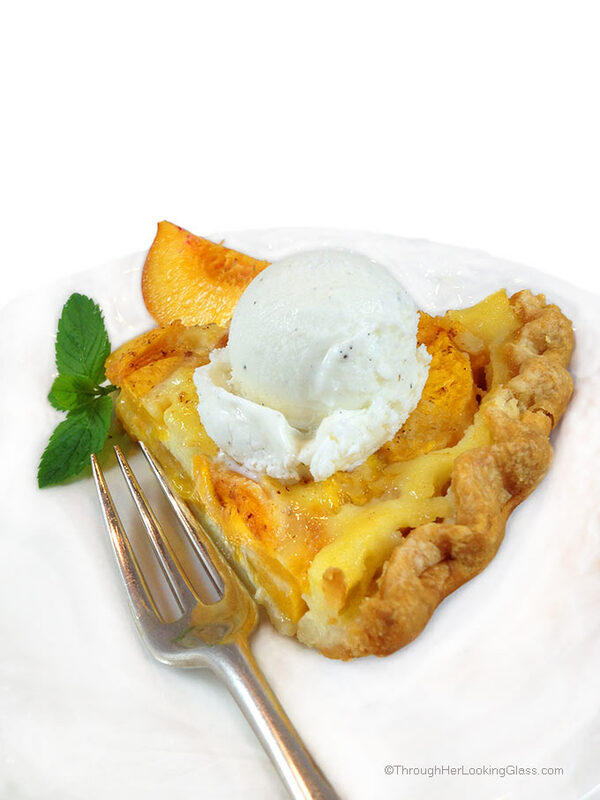 A delicious slice of Fresh Peach Custard Pie topped with vanilla bean ice cream. Oh My! 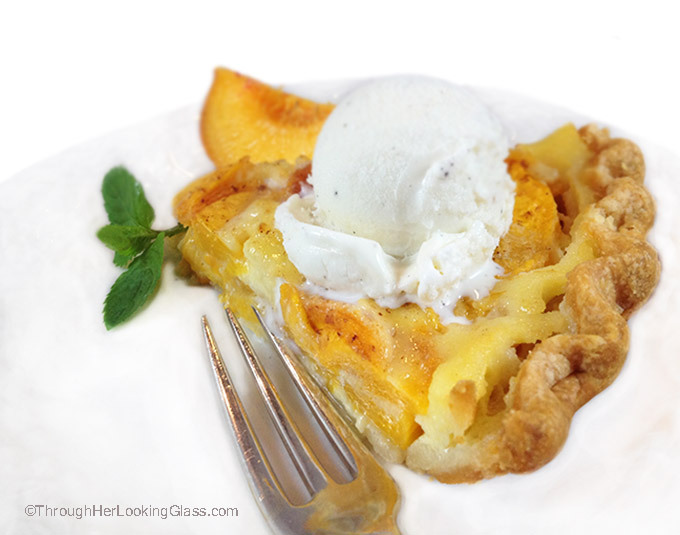 I read "Fresh Peach Custard Pie" and my heart started pitter pattering! I simply LOVE your combo of peaches and custard in this pie Allie! I haven't ever made a pie as I am no crust expert either and haven't found a decent gluten free ready made one yet - but this is making me wanna ditch work today and go GF pie crust shopping! Mmmm! Looks good and easy! Thanks for another yummy Recipe! Allie! This looks amazing. I never would have thought to combine peaches and custard, but of course you are a genius! Loving all your peach recipes. I don't usually like custard but this has my interest. I am like you when it comes to store bought pie crust..no apologies. But my hubby is actually the great pie maker in our family. Oh lucky you Nancy! I hope he regularly practices his skills!!!! I'm with you Allie! Pies aren't my specialty because of the crust. I always use a store bought crust. I can't wait to try this one. More pie baking may just be in my future! Starting with this one. Once again, thank you! I love the photos! Allie, this pie looks AMAZING! And I would totally hoard all those beautiful peaches too if we had peach picking in WI. Wish I had a slice of this now! I was fortunate enough to enjoy a sample of this yummy pie. You will all love it!! Ha! I totally hear you, girlfriend! I say give me ALL the pie that someone else slaved over! :D BUT, if I am going to make pie for myself or family, I'm definitely making this one! I love everything peachy keen related, so this pie sounds absolutely perfect! 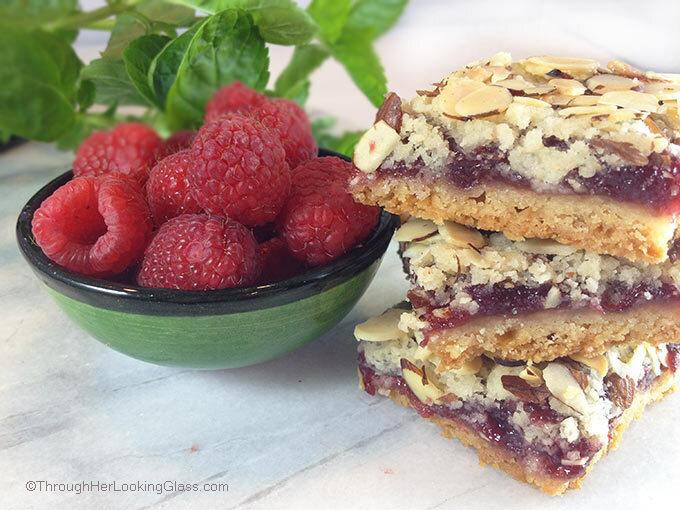 I love that you used store bought pie dough! #NoShameInTheGame Now THIS is a pie I actually want to prepare! Pinned! Cheers! Whew! I was relieved to read that you buy your pie crusts, at least for this recipe. :) That's usually what I do with all my pies, as my dear grandma was the pie baker in our family. Boy, could she make pies, and I tried to watch her make her famous lemon meringue pie in my Mom's kitchen one time and I just couldn't get the hang of it. Of course, she made all her crusts as well, but I won't cry over store-bought crusts, because that's the reality of it in my home, hee-hee. This sounds delicious! You can be my gourmet chef any time, pretty lady! Awwww thanks Susie... I'd love to be your gourmet chef. Just give me a few days notice to let me know when you'll be arriving so I can pick up the gourmet ingredients. We'll leave the light on for you! Looks delicious. Actually most of our French pies are made this way: open face crust, lots of fruits and a yummy custard. Sometimes we just add some sugar, butter and grinded nuts and let the fruits do their magic. Bravo Chef Allie et Bon Appetit! I am sure your family is over the moon with you trying all these recipes. This looks amazing, I feel the peaches aren't used often enough! 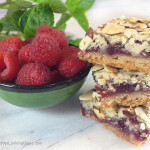 As much as I love the summer time recipes I am looking forward to the change in season. Your grandma and grandpa sound so cute and talented! I don't really have any baking skills passed on from family so I understand! I gotta get me to Vermont and get some peaches! This looks fabulous! I'm also scared of pie dough so I need to check out that pre-made stuff! 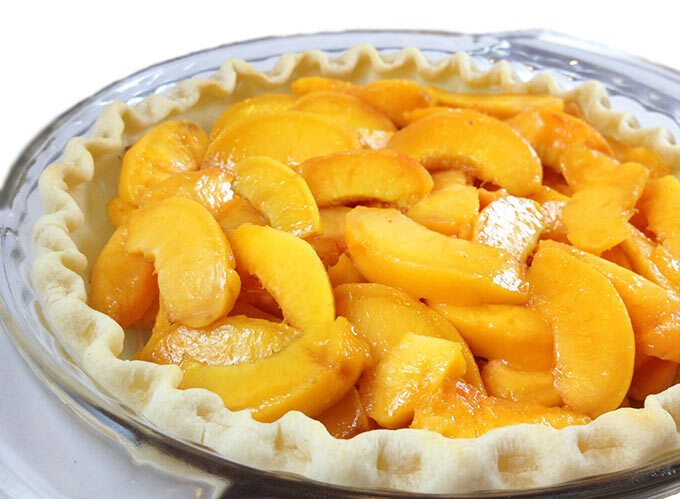 This pie sounds so good - I love anything and everything with fresh peaches. I've been hoarding them from the orchard this year ?? 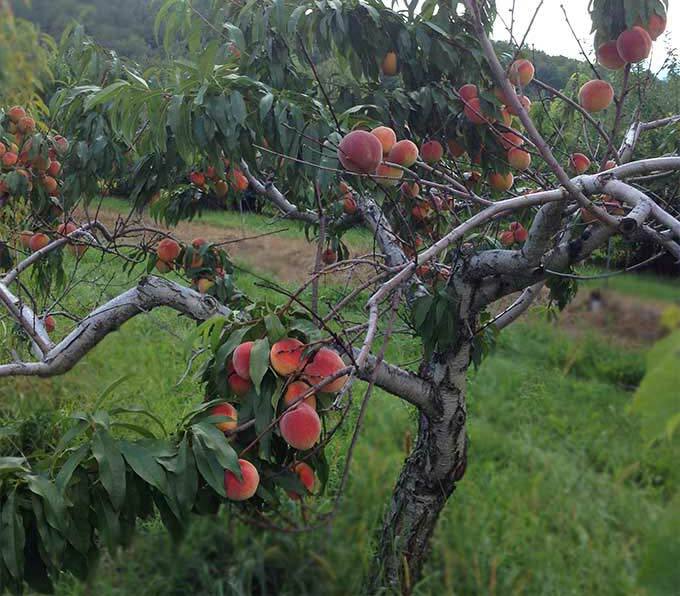 Peach picking is the best! All this needs is another scoop of ice cream and this could very well be my breakfast lunch and dinner for days... yum!! I looooove peach custard pie! Totally my summer favorite :) I love that pouring shot Allie! There's no mention of the heavy cream in the directions do you mix that with the milk? 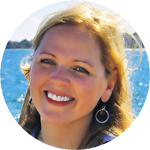 Hey Diane - thank you so much for catching this!!! Yes, mix the milk in with the heavy cream. This recipe was published over a year ago and I can't believe no one else mentioned this. THANK YOU! Hope you love this pie, a friend recently made this and added in some blueberries. So good. Thank you Allie, I have to admit I found this on Pinterest AFTER I made my peach custard pie from a recipe book. It is the same except for instead of milk and heavy cream, it called for 1 cup of sour cream. It is sitting here looking lovely and delicious. My queston is in regards to cooking it in a convection oven. I'm a full time rv'er and only have a micro/convection oven. I don't want to ruin my pie! Any tips for how long and at what temperature? I am guessing 350 for 50 min instead of the 400F. Thank you, I'm not expecting an answer before I bake it but thought I'd try! Hi Patricia - I think I've seen the recipe with sour cream, sounds delicious! I would guess 350° or even 325°. I think the key is just watch it really closely, if the crust starts to brown too fast early on, put little strips of foil around the edges of the crust so they don't get too dark! Enjoy!! !